It remains mostly unclear what kinds of virtual reality experiences will be most compelling to people. But NBC, Samsung and director Chris Milk presented one VR experience at South by Southwest this weekend that everyone could agree was pretty cool—as it put the user right in the audience at Saturday Night Live's recent 40th anniversary show. Unfortunately, we don't have any video to show you that even approximates the experience. But what happened was this: Milk recorded Jerry Seinfeld's monologue with a VR camera mounted on top of Camera 1—the camera right in front of the SNL main stage. The VR camera recorded the entire studio in all directions for the entire monologue. So, when you sit down for the VR experience—watching it on the Samsung Gear VR headset—it feels like you're sitting on top of Camera 1. As Seinfeld calls out each comedian, you look around to watch them, just as you would if you were in the studio. Some users had a bit of trouble getting the images in focus, but otherwise the experience was uncanny. Afterward, we caught up with Milk—a digital innovator whose work includes Arcade Fire's The Wilderness Downtown video and Beck's 360-degree "Sound and Vision" film—to ask him about this project. "This was the first time I ever did a television show [in VR]," said Milk, who recently launched his own VR company, VRSE. "I don't think this sort of construct works for other television shows. This is a moment in time that is recorded. The studio has this history, and the audience is all made up of previous cast members, and it really is a specially unique moment in time that should be recorded for historical purposes." "To be able to capture that moment in this format is a really incredible opportunity and will allow that show to live for years and decades to come in a way that really wasn't possible before," added Michael Scogin, vp of late night at NBC Entertainment Digital. Milk, whose recent work has included a VR experience that took viewers inside the Dec. 13 rally against police brutality in New York City, admitted the SNL project might not seem revolutionary in its execution. But that's part of building VR as a medium—springboarding off other mediums. "VR is a completely new form of storytelling. And the language and form of storytelling needs to completely evolve into something new," he said. "What we normally do at the beginning of mediums is just shoot the old mediums with the new technology. … It takes, typically, decades for any medium to figure out what its definitive model of storytelling is. The feature film was not created at the beginning of cinema." But the possibilities are nothing short of sci-fi, he added. "Right now you're sitting in a chair and you can look around," he said. "But conceivably, decades from now, you could have a photorealistic world that could be rendered in real time, and the storytelling is being run off an [artificial intelligence] system that could accommodate anything that you were doing. It could feel like you're running even if you're not. And then you basically have The Matrix or Total Recall, if you so choose to enter it." SNL cast member Vanessa Bayer was also on hand for the press preview of the SNL 40 experience. "It's really amazing that people will get to see it who weren't in the audience," she said. 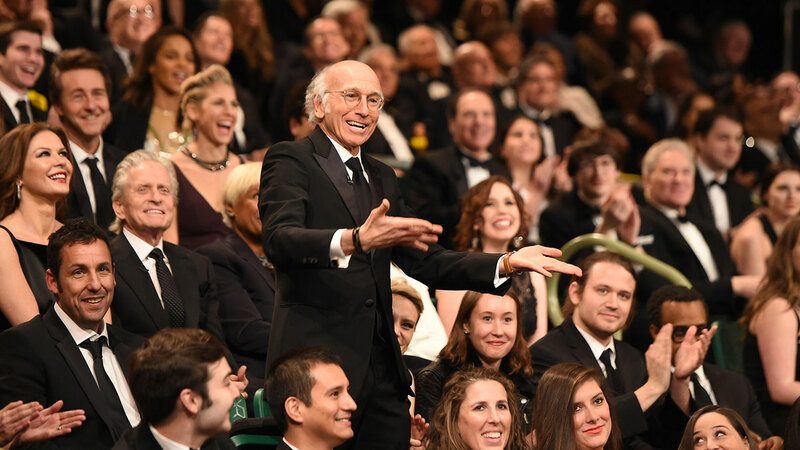 And of SNL 40 in general, she added: "It was a really, really fun night. In fact, it was so overwhelming that I feel like I keep having new memories of it." 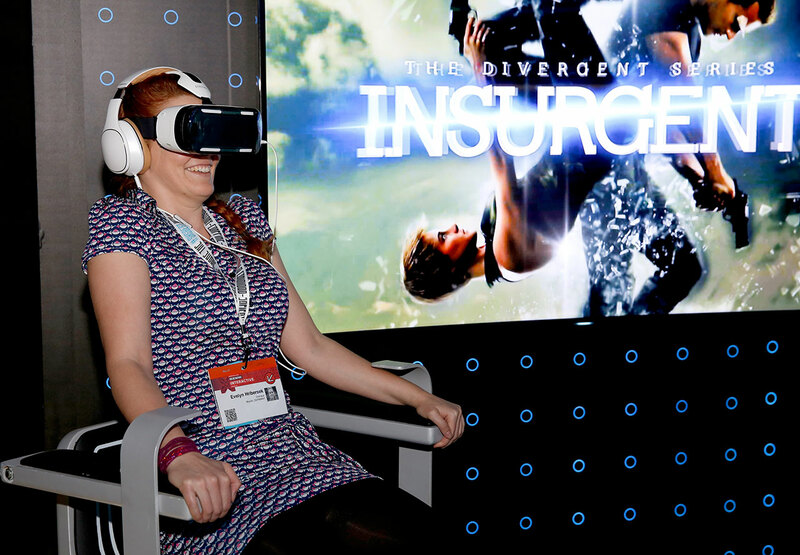 Visitors to the Samsung Studio also got a chance to try another VR experience, "Insurgent—Shatter Reality," a much more high-octane video made for the Divergent sequel.